I had a hunch when the itinerary said I’d be in a wine cellar at 9am the following day that this was going to be good. I had no idea. Welcome to Moldova. Iubesc Moldova – I love Moldova. Why write it in a guidebook when you can put it on a wall? I’ll be honest – I had no idea what a Moldova was. A sweet dessert? An astronomical event? A fine hat worn by the likes of Humphrey Bogart? The truth is, when the opportunity for the trip came up, I said “Yes, of course, I’d love to!” and then quickly talked to my dear friend Google. “What is Moldova?” I asked. Parts of Moldova are accessed by time machine. And it’s easy to find the facts and figures about Moldova. Google told me all about how it’s a wee country snuggled between Ukraine and Romania, that it’s a former member of the U.S.S.R, that it’s on the path to joining the European Union. There’s talk of borders, uneasy relations with Russia, stories of the struggle for independence. Cricova – an absolute must-see. The little town of Cricova needed limestone to build their homes, and nearby capital city, Chisinau. So, they started to dig. And dig, and dig. Soon, they had 80km of underground tunnels. Dark, damp, and cool. Then one day, a genius (or possibly a miner with a bottle of wine in his lunchbox) made the brilliant connection – wine likes dark, damp and cool spaces. 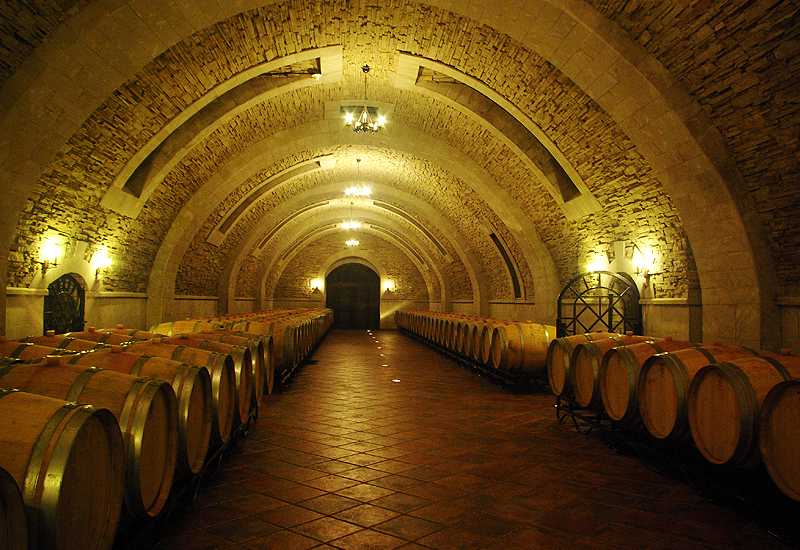 And voila – a huge, underground wine cellar was born, home to wines from all over the world, some bottles are over 100 years old. They make tasty wine too, keeping over 500 hectares of their own vineyards. 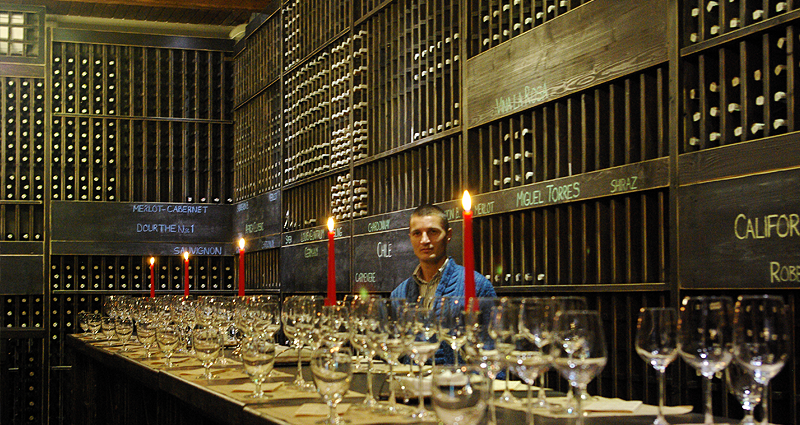 Step into one of their gorgeous tasting rooms for a sample, or six. Roaming the underground streets of Cricova. 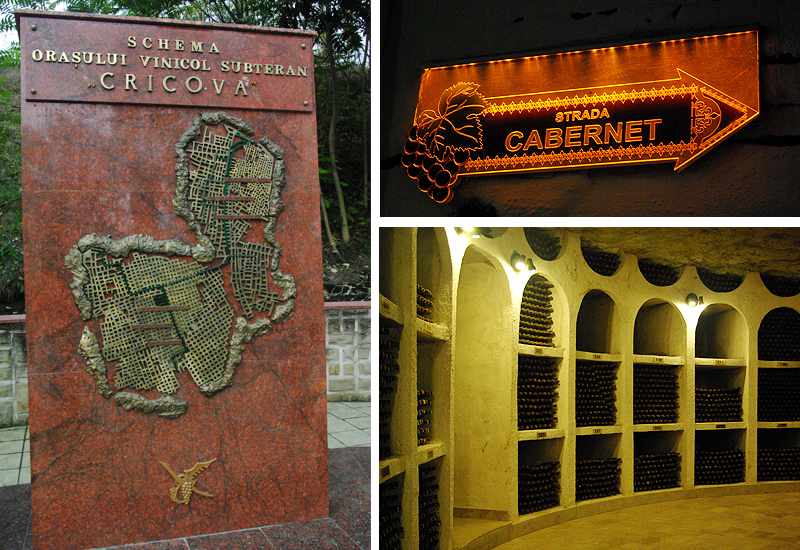 Here’s the fun part – the wine cellar is actually a series of underground streets. Hop on their trolley, descend 280 feet underground, and take a tour along streets named after wine – Strada Sauvignon or Strada Cabernet, neighbourhoods of merlot, pinot. It’s a labyrinth and I can’t imagine a more exceptional place to get lost. I tried really hard, but they kept finding me. Purcari – A picturesque estate with cellars dating back to 1827, swans roam the grounds, and when you’ve had 9 glasses of wine for dinner, you even feel compelled to try and pick up one of the peacocks that linger on the balcony. The peacocks apparently don’t like this. The property is gorgeous, and the wines are certainly worth having the nine-glass headache the next day. And, Queen Elizabeth digs this stuff, apparently she regularly orders the 1990 vintage. I hope she doesn’t have any peacocks. Chateau Vartely – looking for a romantic weekend away? This is just the spot. Heck, I’d go back solo just for the mushroom soup. The Vartely Winery,located 45km from Chisinau and built on an old stone quarry, offers the perfect weekend escape. With three luxurious chateaus and 12 apartments, each a showcasing traditional Moldovan architecture, this estate combines hospitality, gourmet dining, and an endless supply of wine. How’s a girl to choose? A night in each please? While this is an average sized winery by Moldovan standards, it has a capacity to process 5000 tons of grapes per year, about 95% of the wines here are sent abroad, from the USA to Japan. After a tour of the facilities, our group indulged in a phenomenal meal. We waddled out of there like sleepy children with full, happy tummies. I sampled a million wines in Moldova. A bottle from Vartely came home with me. 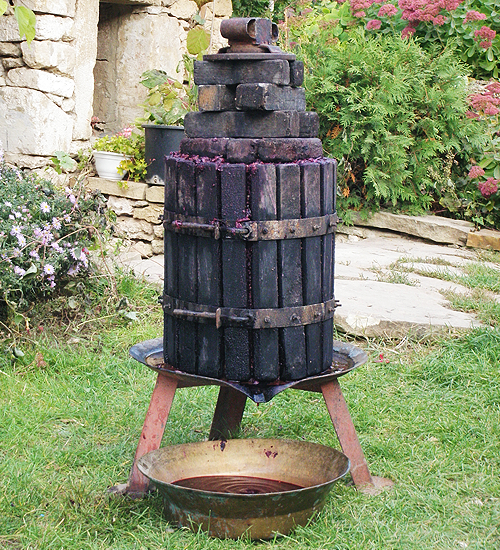 And a random backyard press – one of my favourite wine encounters was this contraption. It speaks volumes about Moldova – something that appears rustic, old world, and a little simple offers unexpected thrills. It’s easy – grapes go in the top, tasty wine and 100 fruit flies come out of the bottom. I don’t need to know how it all works, I’m happy to just drink it all up. I must must must get one of these for my backyard. Grapes in, wine out. Of course, Moldova is so much more than delicious wine. Stay tuned for part two where I’ll tell you stories about slipping back to the USSR, churches and monasteries that will leave you gobsmacked, and villages and people full of charm. And the food – I’m still trying to work off the 74 pounds I gained in one short week. Three cheers for stretchy pants! Some notes: A huge thank you to USAID’s Competitiveness Enhancement and Enterprise Development ll who kindly sponsored this familiarization tour. There’s lots more to learn about Moldova Tourism, here’s a good place to start. The opinions, and hangovers, are entirely mine. I’m so glad you’ve enjoyed the article – I’m grateful for the time I was able to spend in Moldova, it was a wonderful discovery! I hope more tourists come your way and discover for themselves the beauty, delicious food and kind people of Moldova, it’s a hidden gem! 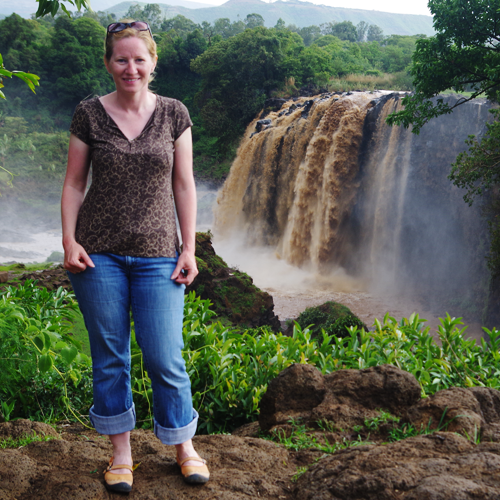 On my fifth trip to Moldova I decided to stay. It was a simple decision; I found a precious gem and we will be married soon. Come to Moldova and be prepared to change your home address.